This disease occurs mainly among athletes or who spend most of their day on their feet. 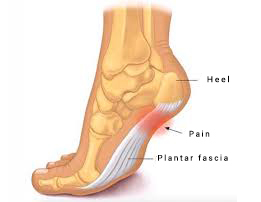 Our foot consists of a long ligament, plantar fascia, that connects the heel to the toes; this ligament, due to excessive or incorrect use can become inflamed, causing pain that usually starts from the area of the heel and then spread throughout the plantar fascia. 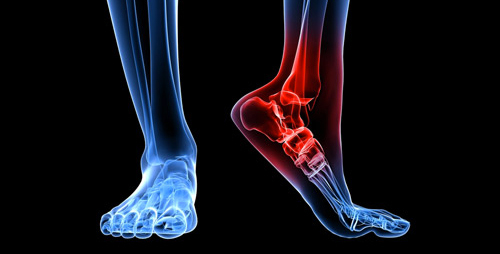 There could be several and different causes, a normal wear and tear of the bearing of the calcaneus or an injury due to repeated shocks, most plausible hypothesis for athletes that result in high shocks to the Plantar fascia and heel as athletics, dancing or aerobics. One of the greatest risks of Plantar Fasciitis is that, if not properly treated, can lead to chronic pain. The pain caused by Plantar Fasciitis can alter the way you walk, causing problems to feet, knees and back. Plantar Fasciitis can be solved in different ways, linked to the degree of inflammation of the ligament. If diagnosed at an early stage may be usefull just a rest period and a cycle of anti-inflammatory, however, if the pain starts to show up in a chronic inflammation quite extensive, it will be necessary to act in a more targeted and in-depth. The physiotherapic solution for this problems is shock wave treatment in Plantar area, expecially in the area of heel. The shock waves, as Shock Med and Shock Med Compact, produce an increased metabolic activity in the area of application, thereby decreasing inflammation caused by pain-relieving action induced by local release of endorphins by stimulating and accelerating the healing process.